It’s no secret that art and creative expression play a key role in a young child’s development. Even though all those finger paintings and stick figures may seem trivial, research shows that every piece of artwork your child creates helps them to develop lifelong skills like critical thinking, problem solving and self-expression. It’s also no surprise that parents can play a significant role in nurturing children’s creativity early on. One easy way to do this is likely something you’re already doing: asking questions about their artwork. But not all questions are created equal! Asking the right questions can make all the difference, according to Megan Hettig, an artist with an extensive background teaching art and academics to preschoolers. Read on for her tips on what to say, and more importantly, what not to say. Tip: Focus on the process, not the product. Avoid asking your toddler to put a “label” on the objects in their artwork. It’s likely that they are exploring materials and how they interact with each other as opposed to communicating an idea through their art. Instead, ask your child to describe how they created their artwork. This is a great opportunity to flex your child’s critical thinking skills and to get a sneak peek at the inner workings of the toddler brain. I love all the blue that you used. What other colors did you use? Did you use a paintbrush or something else to make your painting? I am so proud of you for using paint and crayons in your artwork today! Where should we hang your artwork? I see you drew our house, but where are the windows? Tip: Let your child take the lead. Follow your child’s lead when creating art together – and when talking about their art. Don’t set up a coloring experience and assume your child will want to color. Lay out all of the materials you and your child will need, turn on some music and prepare for a mess! Then, ask questions that prompt your child to lead the way. I was thinking we could use our modeling dough or color with our crayons today. Which would you like to do? Now that we’ve finished painting the sky, what do you want to paint next? What colors do you want to use in our drawing today? Let’s color a picture together. Can you draw a picture of Mommy and Daddy? Try drawing something with the blue marker. Remember, when it comes to encouraging your child’s creativity and the skills that come along with it, ask questions that focus on how they get to the final product, not what it is. 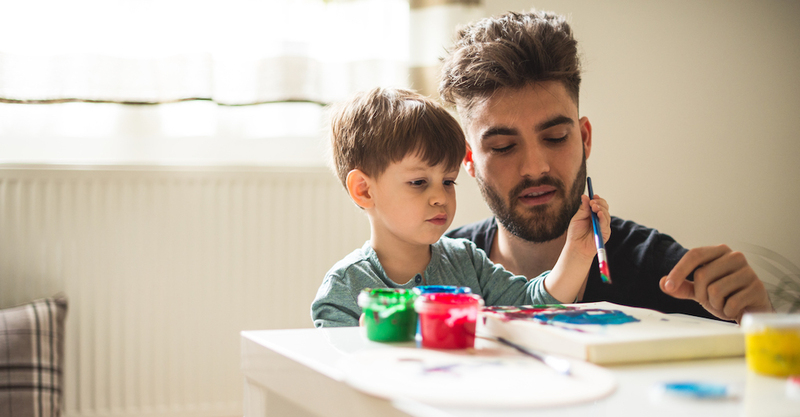 Keep fostering a love of art in your child’s everyday life by making materials available, letting them take the lead and maintaining a positive, nonjudgmental approach. You will see soon improved fine motor skills, increased verbal skills and a very colorful refrigerator! 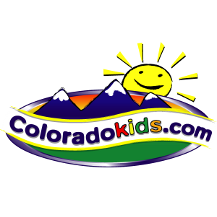 This post is authored by Primrose Schools with contributions from Megan Hettig, mother of two and a professionally trained artist with an extensive background in teaching art and academics to young children. Learn more about the expert.